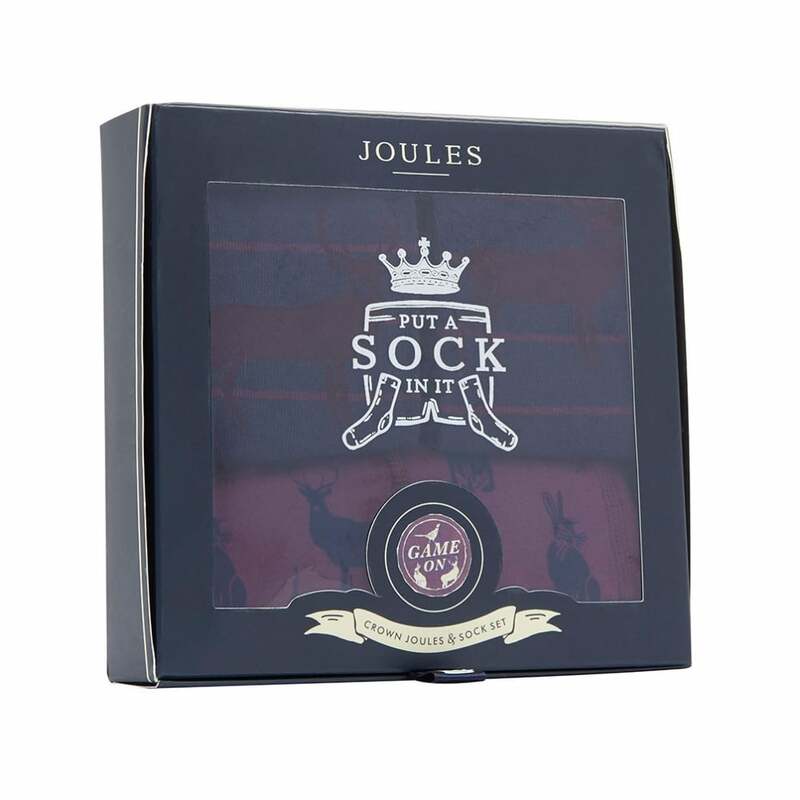 The Crown Joules Boxers & Socks Gift Set is a great gift idea for a difficult dad, bothersome brother or unruly uncle! Containing Crown Joules Boxers and Socks both adorned with a stylish country inspired Joules print. They’re sure to be a winner with whoever is lucky enough to receive them.